A warm welcome awaits you at Christ Church, which has been at the heart of the community in the Seaside area of Eastbourne for 160 years. In 2009 we merged with our neighbouring parish to become Christ Church with St Philip. We worship in the Anglo-Catholic tradition with a main Parish Mass at 10.30am on Sundays, conducted by the Vicar or one of the assistant Priests, and a Family Mass on the first Sunday of every month. The Sung Mass on Sundays is led by the choir and Christ Church is renowned for its Father Willis organ, which is said to be one of the finest on the south coast, and there are regular organ recitals. The church also has an excellent grand piano. For those who prefer a more reflective service, there is a Said Mass at 8am every Sunday morning; an evening Mass at 6.15pm on Tuesday; a mid-week service at 11.30am on Wednesday morning, and Morning Prayer on Thursday at 9.30am, which all take place in the side chapel. 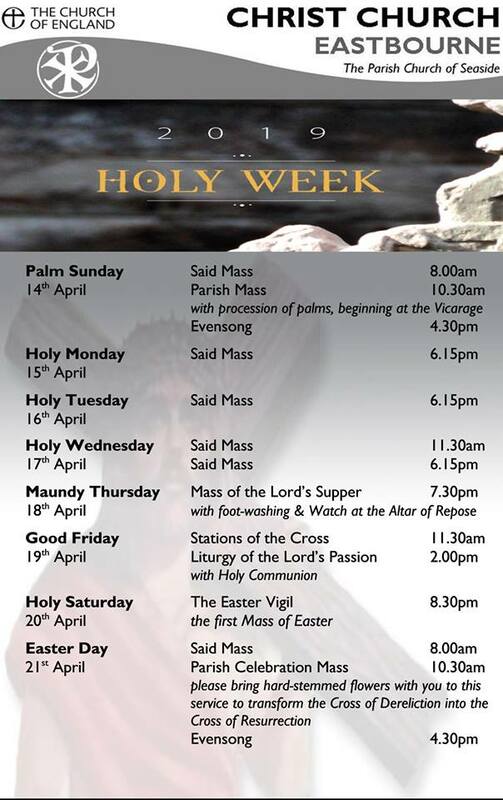 For people who are working during the week, there is now a Mass on Saturday morning at 10am. There are also additional services for special Feast Days and Church Festivals throughout the year, when incense is used. From Sunday 10th March 2019 there will be Evensong at 4.30pm. With a thriving social life, groups at Christ Church include Knit & Natter on Tuesday morning at 10.30am; a Coffee Morning every Wednesday from 9.30am-11am; a Playgroup for younger children on Thursday morning at 10.30am, and there are a number of quiz nights, concerts, recitals, and parish lunches each year, plus two fundraising Fairs in spring and autumn. 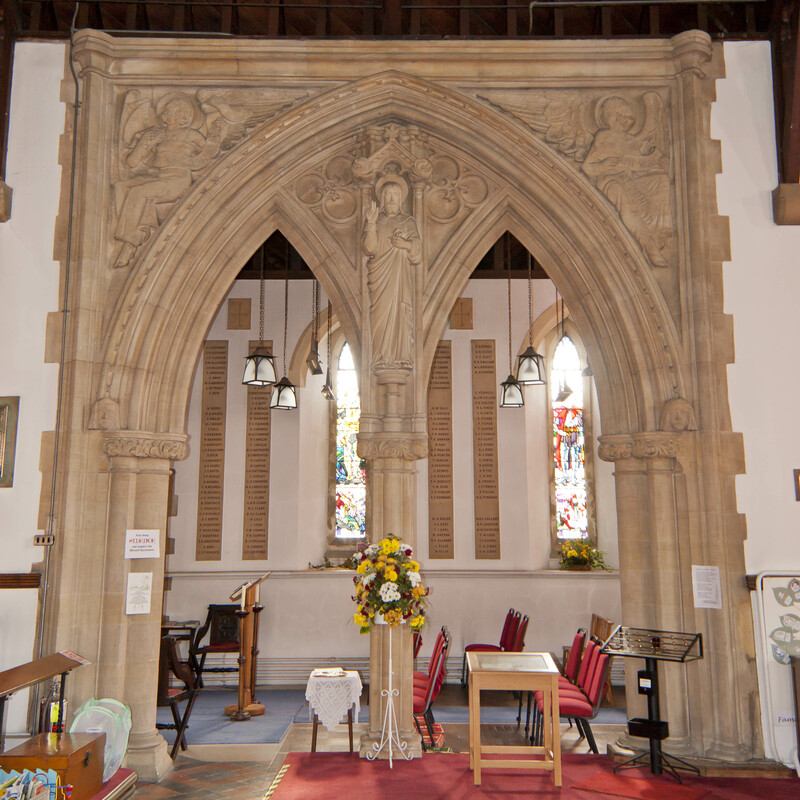 With comfortable, flexible seating, the church is frequently hired by local clubs, groups and societies for events, concerts and as a rehearsal space, and there are kitchen facilities for making teas and coffees at the back of the church. There are also church halls, with a fully fitted kitchen, that are regularly booked by the local community for meetings, and by private individuals for birthday and anniversary parties. Christ Church is also home to the Matthew 25 Mission charity, which occupies the Brodie Hall adjacent to the car park. 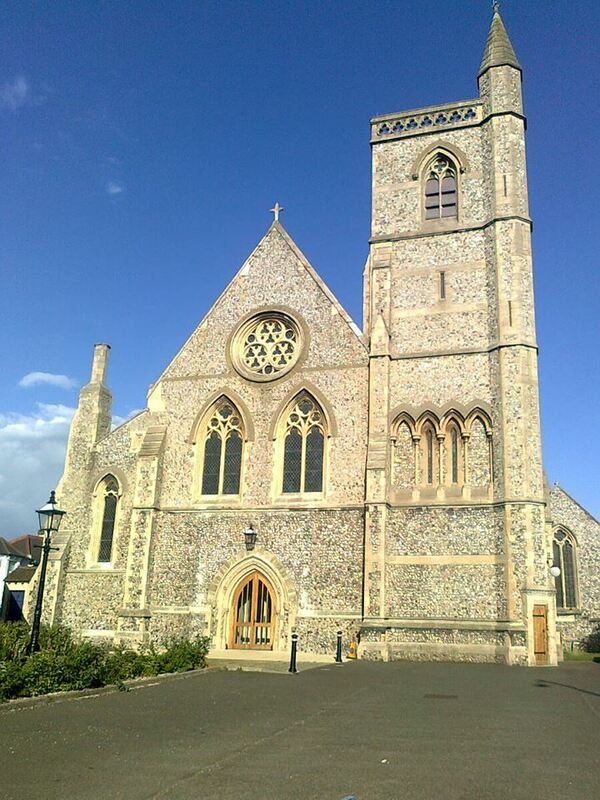 If you are a visitor to Eastbourne, take the opportunity to come and have a look around our beautiful Victorian Church, which was designed in the Gothic revival style by architect Benjamin Ferrey (a pupil and biographer of Augustus Pugin) and was opened in July 1859 - so this year we will be celebrating our 160th Anniversary.